Maplewave is the recipient of $3,000,000 in repayable funding through the Atlantic Innovation Fund. Administered by the Atlantic Canada Opportunities Agency (ACOA), the Atlantic Innovation Fund provides Canadian government grants to support innovative research and development projects. The program endorses collaborative research projects that partner businesses and researchers to adapt existing technologies to serve new market opportunities. The investment in Maplewave will allow the company to develop new products, create more jobs, and expand market reach. Maplewave’s software is currently used in over 40 countries. Beyond their digital platform, the company provides consulting services to the telco industry, including multi-day onsite visits, mystery shopping or competitor analysis, retail assessments, and brand perception consulting. Maplewave has received a $3,000,000 repayable contribution from the Atlantic Innovation Fund. Research and development funding from the Atlantic Innovation Fund is allowing the company to develop the next generation of retail management software for large telecommunications companies. This software will assist telecommunications and retail service providers implement solutions that improve operations, save money, and increase efficiency. Maplewave has also received a $500,000 in repayable business expansion funding from the ACOA’s Business Development Program, which will be used to carry out international promotion, marketing, growth, and re-branding activities. The company is planning to expand its market share in Europe, Africa, the Pacific region, the Americas, and the Middle East. What is the Atlantic Innovation Fund (AIF)? The Atlantic Innovation Fund (AIF) is a Canadian government funding program devoted to supporting the research of innovative technologies. The program enables both private-sector research and collaborations with academia and research institutions. Eligible projects must have a high potential for commercialization, have a strong research and development component, provide economic development opportunities for Atlantic Canada, support new and/or enhanced technologies, and have scientific and/or technical components. Applicants may receive 75% of eligible project costs to a maximum $3M. Businesses and research institutions may apply for the Atlantic Innovation Fund year-round. To begin the funding process, interested applicants must complete a R&D project outline and submit it to a local ACOA office. If your project is a suitable fit for the program, a representative from ACOA will contact you to discuss your project. 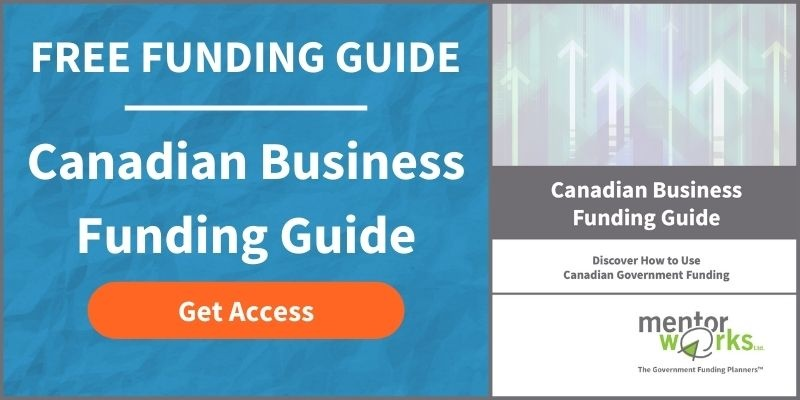 Individuals interested in learning more about government funding programs supporting research and development initiatives, please download Mentor Works’ Canadian Business Funding Guide.